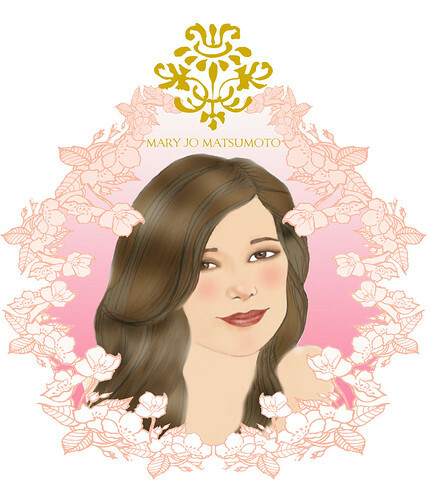 I’ve been quite busy lately making a slew of illustrations for Mary Jo Matsumoto (best name ever) of Trust Your Style blog. I’m having a blast working with her, she’s been so supportive, collaborative, and encouraging. Her designs give rise to so many illustrative and fantasy rich ideas. She’s planning a post with my illustrations and her designs as well as a little interview with me when it all comes together at the end of the month. Meanwhile, I’m doing the finishing touches. She’s keeping them under wraps but posted the portrait icon (above) I did of her on her blog (I’m so flattered). It’s been very fulfilling creatively to do this kind of work again and made me realize where my heart is artistically. Yep…we’re getting close to deadline date!!! So stay tuned.